Enjoy reading and share 4 famous quotes about Cleopatra In Antony And Cleopatra with everyone. 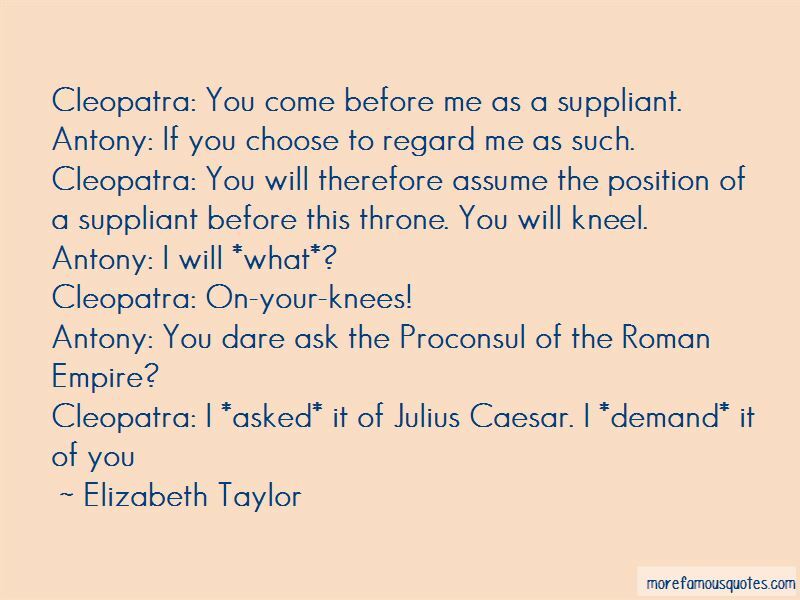 “Cleopatra: You come before me as a suppliant. “Cleopatra: Whoever is born on a day I forget to send a message to Antony will die a beggar. Bring ink and paper, Charmian. Welcome, my good Alexas. Charmian, did I ever love Caesar as much as this? May you choke on any other sentiments like that! 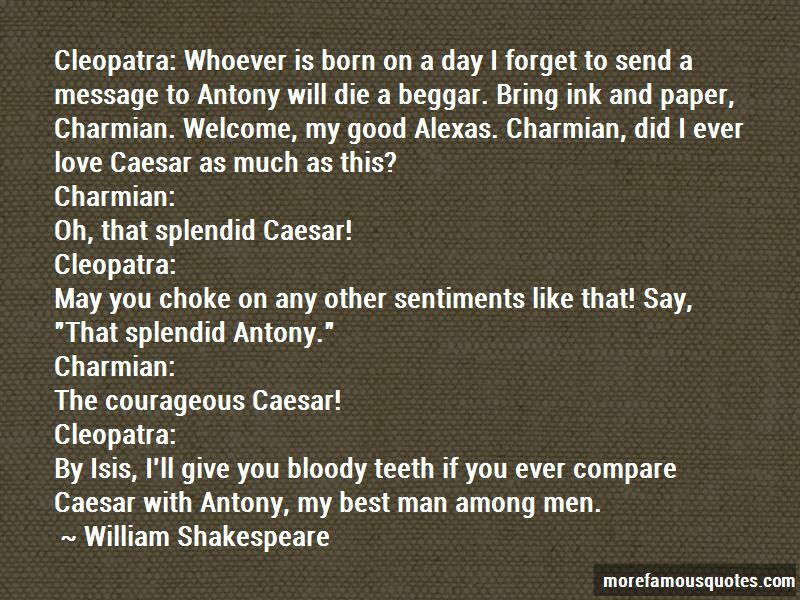 Say, "That splendid Antony." “Cleopatra: Give me to drink Mandragora. 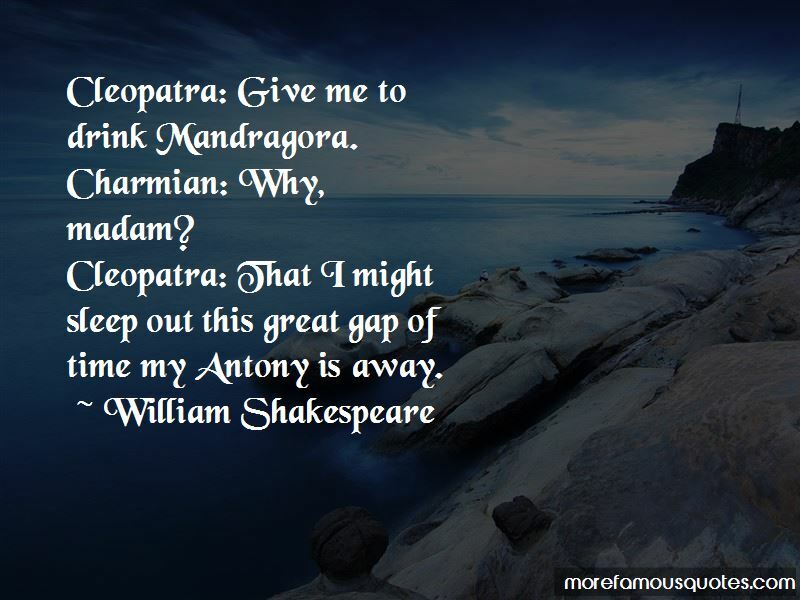 Want to see more pictures of Cleopatra In Antony And Cleopatra quotes? 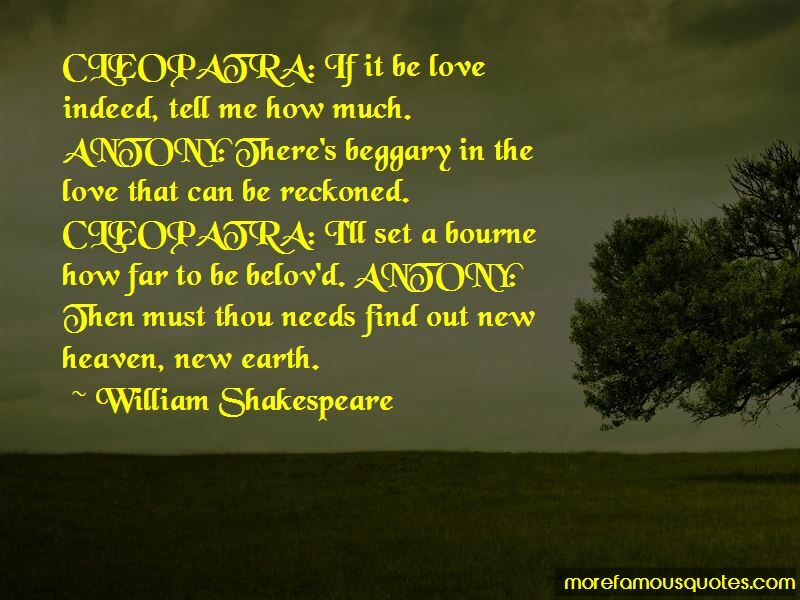 Click on image of Cleopatra In Antony And Cleopatra quotes to view full size.